First came Joseph Nadeau, then Napoleon, Fredrick, Clayton, Craig and lastly me, Carley. Joseph was the first of our family to be born on American soil, after both of his parents immigrated from France. But even as American blood became forged in our veins, our family has never truly forgotten about our French heritage. This includes a very important aspect of the French culture: the strength of family. This love for family could especially be seen during Thanksgiving. I have many memories from my childhood that involved Thanksgiving. There was so much excitement for my sister and I as we hurried into the car to go to Grandpa Clayton’s house. We would walk into the kitchen to see Grandma Delores putting finishing touches on the meal she had been cooking all day. Every family would cook also, and would bring a food dish to help take the load off of grandma. When it came to eating the meal, our family would try to stuff themselves around a singular dining table. Closeness and conversation was very important to grandpa, and I can remember from many Thanksgivings he would say, “Scoot in, we can fit in one more.” All of these things that would happen were always just normal to me, but I never realized that they had a big connection to the French culture. In France, meals can sometimes take all day to cook and every family is expected to bring a gift if invited to a dinner. The biggest part of a French meal gathering is the conversation. We would all sit around the table for hours talking; we would all catch up on each other’s lives. These reasons make me feel more connected to my French heritage and my family, which is something I need currently. In 2012, my grandfather passed away. The excitement I had when thinking of going to his house was now filled with a sadness, a void. I had to come to terms with never getting the daily phone call at dinner again, never catching up on each other’s day and especially never having him at another family gathering. I’ve had to do a lot of searching and thinking to get over the grief of losing him. His wife, my grandma, just passed this summer too, and losing her was also hard. This meant the family would never have Thanksgiving with the grandparents anymore. There would be no more of grandma’s entrees, like deviled eggs and cinnamon rolls. The thought of this also hurt me too. But I came to the epiphany that just because they were physically gone, did not mean they were truly gone. They had taught me a lot, especially about family. As I am transitioning into college my freshman year, I try to stay close to my family by talking to them as much as I can. I want to feel that closeness and have those quality conversations still, and that responsibility now falls on my shoulders from the strong French that have come before me. Now the next step for me is to see how this Thanksgiving will go, but I hope it will have some of the French qualities that are so familiar to my childhood. Even though the deviled eggs and the dessert after the Thanksgiving meal will never be the same, I will remember the true importance of Thanksgiving this year. It’s not about the food or the time from work and school (which I will admit is nice, anyway). It is about being with family, and remembering the ones that have left. Thanksgiving is a day to be appreciative of what you’ve learned from family, which would be the family unity for me. The love of family started with Joseph, and it will not stop with me. Carley, thank you for sharing your story. Let me start by saying I’m sorry for you loss, it’s definitely not easy. Every thanksgiving my family also gets together at our grandparents house. We have quite a big family and we try to stuff about 30 of us in their small house. There is nothing better than coming together, eating yummy food that everyone brought, and the conversation. I agree that there is more to thanksgiving than food, it’s a time where you can spend time with your loved ones and remember those who couldn’t be there. Thanks Carley again for sharing! Wonderful article. I’m so very sorry for your loss, it sounds like you were extremely close to your grandparents. I think your article should speak to people on a very deep and personal level for two reasons: one, we never know when we are going to lose an integral part of our lives that we have come to be so used to. Two, the heritage in which you come from has the possibility to offer a lot of support and reason to why we as people do the things we do, and that’s incredibly important when you feel a great loss that fills you with emptiness. Thank you so much for sharing your story. What a lovely tribute to your family, thank you for that. I really enjoy that you mention conversation being the main point of a meal. I think this is especially interesting. I have experienced in my own family that sometimes, with some people, the meal is more about the talking than the food. I think that culture has a deep impact on if the conversation is the main focus or not as you discuss in relation to your French heritage. Thank you for this piece! Your story was so touching. I can relate, my grandfather, that I was so, so close with has been gone for several years now. I miss him dearly at each family gathering but I know he is always with me. Our family gatherings are a bit different from yours, however, because we usually have the adults sit at the big table and everyone else eats wherever there is room. Which is nice, but your family’s tightness seems like a tradition I’d like to see within my own family. Thanks for sharing your story. Carley, thank you so much for sharing your story. It seems like you were very close to your grandparents. My grandparents have both been gone for several years now, but I have very fond memories of going to there house and eating a lot, and conversing with all the family around the table. I think this is truly a momentous moment in our lives that shows us how important family is. Being a senior in college now, I can relate to you wanting to keep in contact with you family. I try to as often as I can because I think It is nice to keep that bond with your family, even though you are apart. Not only do you have a touching story to tell, you told in it in a beautiful way. Reading through your article I feel as if I am at the dinner table with your family at Thanksgiving. I’m sorry for your loss- but I know you will live on with their memories. 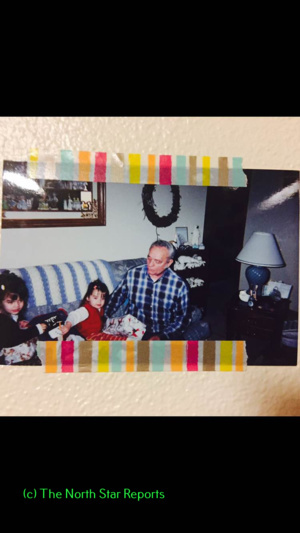 I also lost my grandfather this fall, so I understand the pain you have gone through, but it is important for us not to grieve what we have lost, but to cherish the memories they have left us with. Keep writing–you have a gift! Thanks for sharing. Personally I believe that family is everything in life and it is beautiful that you are able to keep the memory of your loved ones alive through family traditions. I think it is very important for younger generations to learn about their heritage. When people learn about their roots , I think they are able to appreciate their grandparents more because they get to understand more their perspectives in life. In a sense you are able to understand their struggles and why they have a particular stance regarding an issue. Grandparents are a treasure we usually take for granted – it is pivotal to value them. Thanks for sharing Carley, and especially for sharing in a manner that everyone can connect with. The passing of family and friends is always difficult, however we can always remember those we love through our family traditions. I thought your point about your French tradition of gathering very tightly around a table was very interesting. In this age of new technology it can sometimes to hard to have meaningful conversations. This is why the bonds we have with friends and family are so important, they give us so much, one of these things being comfort when experiencing a loss. What a nice story about your family. The holidays are such a wonderful time where we can all catch up with family. Your grandparents sound like they were very loving people and it is special that they were able to pass down what they have learned from their French heritage to you. You are lucky to have had that close relationship with both of them. Even though in the holiday season people seem to get excited about the meal there is much more to it as you talked about. The conversation and storytelling are things that impact who we are and where we came from. I think this is the most important thing to pass down to each generation. Thank you for sharing your story! This was a fantastic article. It is truly right that Thanksgiving is not just about the food presented. It is about family importance and celebration. I can not personally relate to a family member passing away and traditions fading away, but I am sure I will someday and this article really set my mind to a different view. The view has prepared me to believe that those who have gone may not be physically here with us but their traditions, food, stories, and love are still present, especially during family events. I love your story! It’s fairly similar to what my family does, but I’m sorry for your loss. Your story is heartwarming and I hope the best for your family. Please remember that sorrow will only last a while, but what’s best to remember is the great times you had together. This article was a beautiful story of how a tradition can live on even when our loved ones are not physically present. I can relate to your story because I have a large family that tries to all sit together, even though it seems impossible, we always make it work. Something about the togetherness is comforting even when we are sitting on each other. It’s truly amazing how the smallest of gestures can have such an impact on a person’s life.Culture is such an amazing part of people because it creates individuality but at the same time links people together from all over the world. Really tremendous article and I am sorry for the loss of both your grandparents. It is always so interesting to read about another person’s background and the traditions that they have. Thanksgiving is a great time to be thankful for all that life has given us, and I know you and your family will always keep your grandparents in mind. You made an interesting point when you said that Thanksgiving was not all about the food and more about the conversation with loved ones. Family gatherings have always been important in my family as well and a lot of the time we are amazed we all fit in one house! Thank you for sharing your story and your feelings. Going through a loss is never easy and only seems to be worse during the holidays. But, I think you have a perfect idea of how to look at Thanksgiving now. Even though they may be physically gone, their memories and teachings will live on forever. Now you get a chance to share these wonderful things with others that come into your life! What a beautiful story. Traditions are so important to every family, and when those who teach the traditions past it is hard to imagine big celebrations without them. The spirits and traditions that they brought will be around as long as you want them to be. Share these traditions and stories forever! It’s always hard to lose a loved one who was so incredibly close. I think the affect that losing a grandparent can have on holidays and traditions really reflects how tightly knit a family is. My family is coping with the loss of our matriarch and it really shows how we can adapt. Family and traditions are unique and varied, I enjoyed reading about yours. Family dinners and traditions always seem to make holidays even more exciting. My thanksgiving tradition, unfortunately is not with my whole family but my Christmas dinner seems very similar to your thanksgiving. It’s weird when traditions change but there is always a bit of the old tradition in the new one. I am very sorry for the loss of your grandpa but I know he will still be at every thanksgiving dinner! Thanks for the story! This article really hit home for me. My family also values sitting down and having a meal together to catch up. I value this time tremendously and know that each and every person there brings a unique offering to the table, literally and figuratively. I know that this cannot go on forever, as each of us are getting older and older each year, but these memories will live with me forever. No matter what, I will remember how happy I was at these encounters and know that it have made me who I am today. Losing our loved ones can be so hard, and it seems to be even harder once the holidays come around. I have also just lost a grandparent, and Thanksgiving and Christmas has never really been the same. I’m glad that you are able to recognize the positives in this situation and remember what you have learned from your grandparents. I think that is exactly what they would have wanted. Great story, thanks for sharing! Thank you for sharing your story and family traditions. I want to start by telling you how sorry I am for your loss. The passing of loved ones is always hard to come to terms with. It is wonderful to be able to find French traditions that have stuck within your family. My mother is an immigrant from Denmark, so a lot of my holidays have Danish traditions weaved into them. I have always loved celebrating holidays, not for the presents or the food, but for the presence of my loved ones. There are no other people I would rather be surrounded with. It is truly beautiful how traditions continue, even if some of our loved ones have passed. Thanks for writing this, Carley. My mom passed away over the holidays in late 2014. This last Thanksgiving and Christmas were the first without her. As you mentioned, there was certainly a void, but we did our best to carry on the traditions. We prepared the same foods, watched the same movies, and carried out the same rituals. While it was sadder and different without her, it felt better than reinventing or abandoning the traditions my mom always insisted on each year. The traditions have a new meaning now. I don’t think I would have even classified them as “traditions” until I realized how much they meant to my family and I. What an interesting article. I really like how you talked about the time that goes into making a meal. This sentence made me look back at holidays and how much effort my family put into just one meal. I also agree that the most important part of a meal is the conversation. Coming from a pretty big family the conversation is everyone’s favorite part. Great Article! This article reminds me a lot of my own Christmas times now. Both my grandfathers have passed away and when my first one did it always felt so odd driving the long drive to arrive in Thunder Bay and he wasn’t there to greet us. We usually arrived late but he would always stay up late. Now when we arrive even to this day the door is just unlocked and we lay down for the night. It’s sad that sometimes we only realize all that a loved one did for us after they have already passed. It’s important to remember why we get together for the holidays, not just for the food, like you said, but for the family. I really enjoyed this article because my family has played one of the most important roles in my life. It is interesting that we do not always notice details that express how our traditions reflect our heritage. You had mentioned that in French culture those who are invited to a dinner bring a gift. Is this meant to be a tangible gift like an item, or is it more of an intangible or emotional gift? Do members of your family bring gifts to your Thanksgiving gatherings? What types of gifts? Thank you for sharing your story so beautifully. From the two Thanksgivings I have experienced here in the U.S. I have witnessed the power of family and traditions; it is truly heartwarming. I agree with you that the Thanksgiving meal is so much more than just food, its about sharing memories and love with your family. Very insightful article and an article that has plenty of points which are important to remember. I think often we forget to enjoy the company of family we have on holiday gatherings. For some reason or another, its easy to focus on other things surrounding the Thanksgiving break. The important thing is being around with family and having conversations with them. Family traditions around holidays are always special. I never truly realized how much i value them till i left for school and its the only time I get to see my family. We have a very midwestern old school thanksgiving. All the women of the family make varies dishes for the feast, the young ones start at 10 making jello. My specialty was always the 5 hour cardamom dessert bread, made from scratch braided to perfection and served to happy smiles. We always have a few signature dishes, great aunt Norine marshmallow jello, aunt brands rye bread, cardamom bread from me, cran-apple-orange relish from my twin sister, and the biggest task the turkey was always left to the senior women mainly grandma. While those are only a few of the dishes just eating those foods makes me think of family all gathered from nearby to one home for the hustle and bustle of thanksgiving. Losing loved ones is always difficult, but the true loss is felt when the status quo has been broken. Experiencing the loss of my great grandmother just before this past Thanksgiving was definitely hard at first, but it was insurmountably difficult when the family was together for Thanksgiving and Christmas. The only Christmas Eve experience was at her house. One message you display so eloquently is the fact that we almost take what we have for granted until we no longer possess it. Thank you for sharing this article because it has personally touched me. Carley, this was a very sweet and emotional story. It brought me back to all the amazing times I had with my family at the dinner table. Unfortunately, my grandfather passed away last month, so I will be able to relate to the void at the the dinner table next fall and winter. This was a very sweet story and I am very sorry for the loss of your grandparents. When you lose those who are close to you, it is true that things will never be the same. But I do believe that if we can remember them and celebrate them in times like thanksgiving, that is the greatest things we can do in honor of them. When we talk about them and how the shed brightness into our lives they get to live on, and in doing so never truly leave. That is how I believe that we should celebrate those who have left too soon for our liking. Thank you for sharing this beautiful story. I think it is wonderful for you to continue this value of family due to what you have learned from your grandparents. Thanksgiving is not a big celebration in my family at all. When there are big family gatherings, the host of it will be the one to provide all the food unless the host specify it to be a potluck, but that rarely happens. Although the host may be the one providing the food, family members and relatives will come early to help cook and socialize with one another. In your story you talked about gifts. Who receives the gifts and what kind of gifts are considered appropriate for the gathering? Your article was very touching. Family is always very important to me when it comes to the holidays. Recently i lost my dad and thanksgiving as well as Christmas was very hard to cope with knowing he would not be there to share in the memories we were making. I would take a family get together over presents and food any day. This is beautiful, Carley, and I’m sorry for your loss. I’m not particularly close with my grandparents but I am incredibly close to the rest of my direct family and can understand loving the closeness. I love the idea of squeezing everyone around one table, too! We always have the kids table or the coffee table, but your way sounds much better. Conversation is incredibly important. I would like to start out by saying I am extremely sorry for your loss, grandparents are always hard to lose especially when you have become very close. Its important to always think of the good times you had together and cherish those moments. But always remember that they wouldn’t want you to be unhappy, they want you ton live your life to the fullest. I recently lost a grandfather and it was one of the hardest things to deal with. I also lost my grandma a few years ago and that was very hard on me because we were so close. I think it’s very important to make the most of every moment you are given because you never know when it’s your last. Sometimes no goodbyes are given and that is one of the worst feelings. You never want to live with a “I wish I would have”, so always make any situation feel like it could be your last. Family is very important, don’t ever take it for granted. Carley, thank you for sharing such an incredibly relatable story. I also lost my grandfather a few years back, in 2014. The day of my grandfather’s funeral was one of the hardest day’s I’ve ever had. I will forever cherish the memories that I did get to share with him. We have very similar family traditions for holiday meals, and it is hard to feel like a tradition is the same as years past when there is someone you love is missing from the table. Thanks for sharing.